Beach City Bugle: Story: Pearl, Alone. Except For Greg. Description: Greg Universe: songwriter, guitarist, singer, hopeless romantic, freeloader, and occasional bum. The man proudly owns all those titles, and all the complications that come with them; such as a rat-infested van, epic battles over the last package of hot dogs in the house, and alien girlfriends. When he falls into a creative slump, Rose offers to take him on a trip to a hypothetically safe Gem location to inspire him. As can be expected of these things, it all goes horribly wrong. Pearl: warrior, dancer, singer, hopeless romantic, her own Gem, and all-around badass. The Gem proudly owns all those titles, and all the complications that come with them; such as worldwide journeys to clean up thousands-of-years-old messes, defeating monsters that most humans only know of in their nightmares, and Rose Quartz. When over Pearl's protestations Rose takes her latest paramour on a mission, Pearl is forced to protect Greg from an ancient threat when they get separated from the rest of the Crystal Gems. Hilarity ensues. 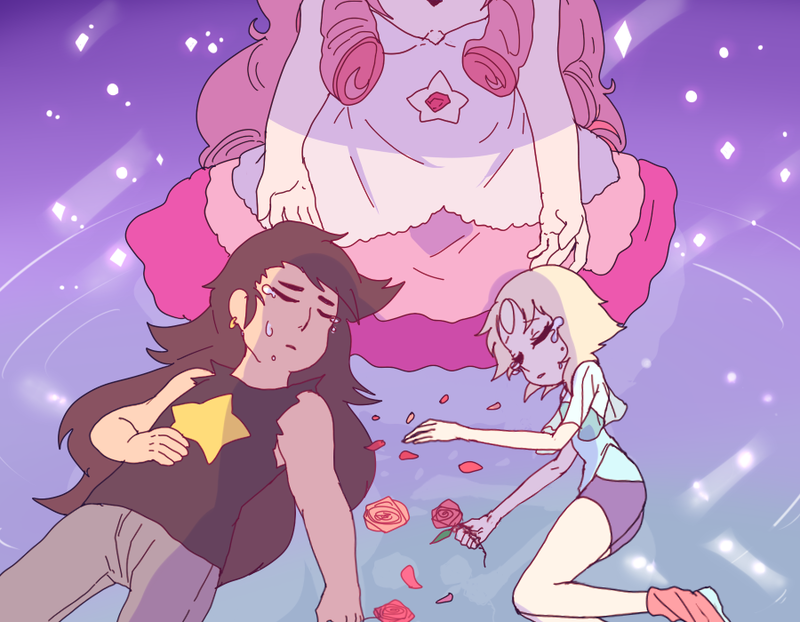 Pearl, Alone. Except For Greg.